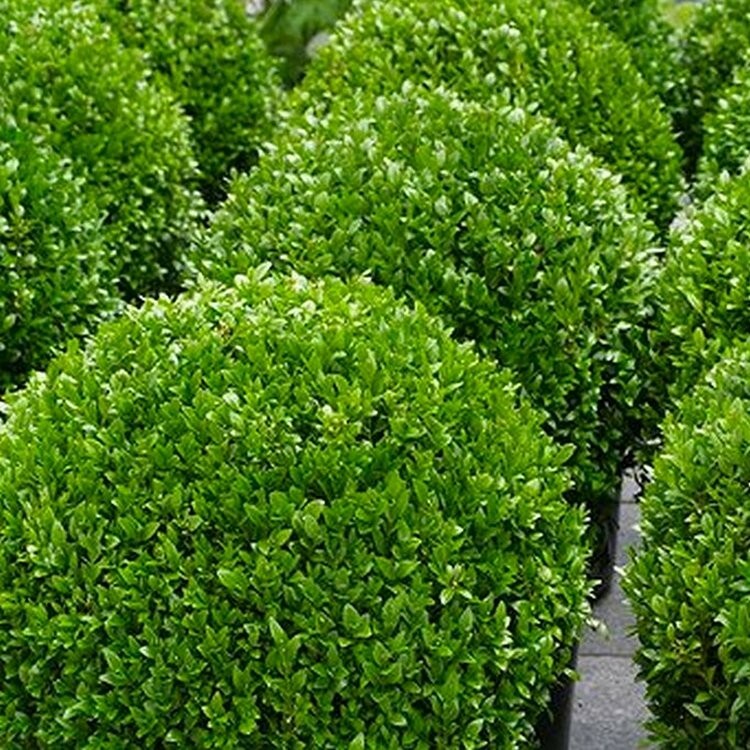 A pair of these tightly rounded evergreen box spheres is excellent for flanking a set of steps, doorway or path. Alternatively use them singly to create stylish focal points on the patio. 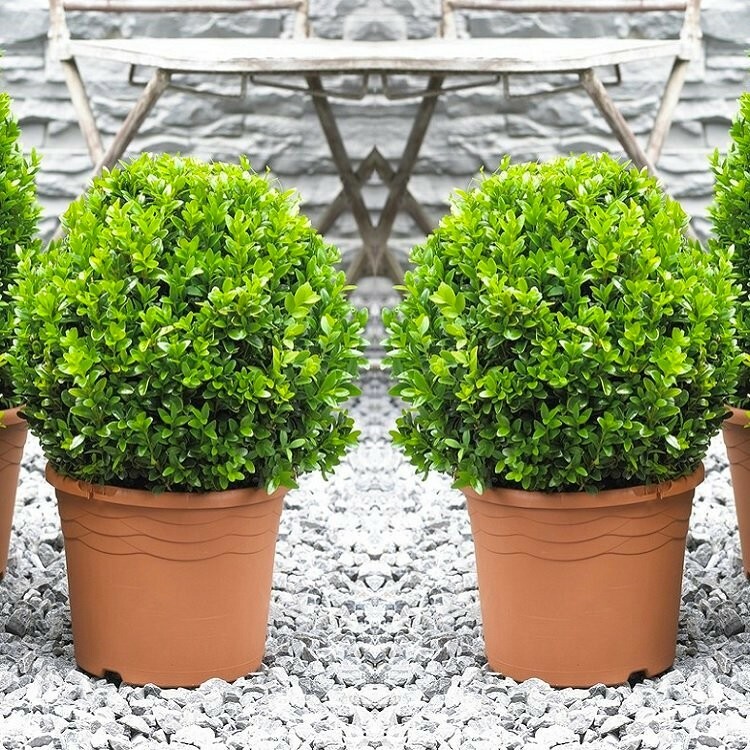 These are one of our recommended plants, they're perfect for positioning in these swanky planters in a partially shady site, where the glossy, green leaves provide all year foliage interest and structure. Supplied as strong plants clipped into neat spheres with an approx diameter of up to 25cms.